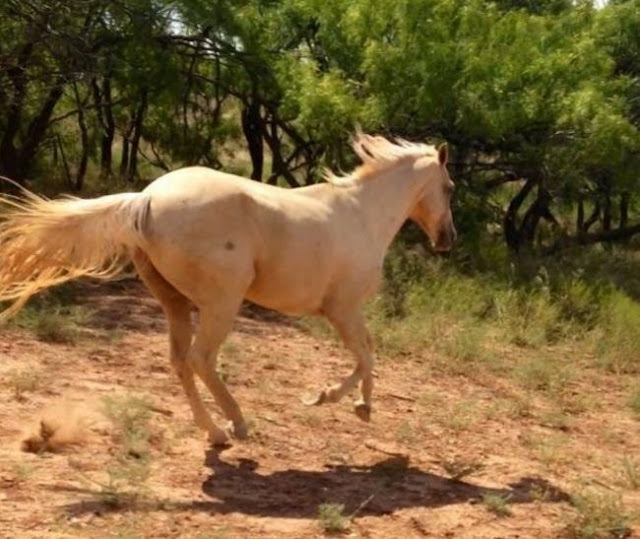 Dolly was a ghostly looking horse. It was as if you were looking at the empty husk of what used to be a proud animal. The 16-hands-tall creature loomed over most animals around her, yet her eyes lacked any spirit or any will to live. “Broken” would be an understatement. 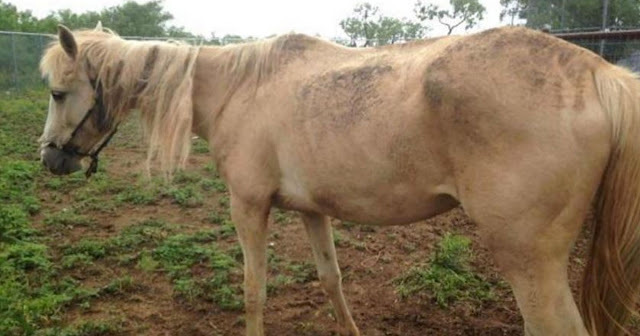 Horses like that are so rarely given a second chance. 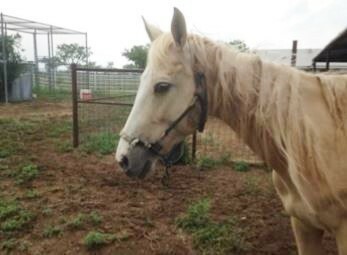 Her shelter was willing to let her go for dirt cheap, but who would take her and could she even be rehabilitated? Kimberly Lewis was excited to take this gal home. Her husband had offered her the pick of the litter. 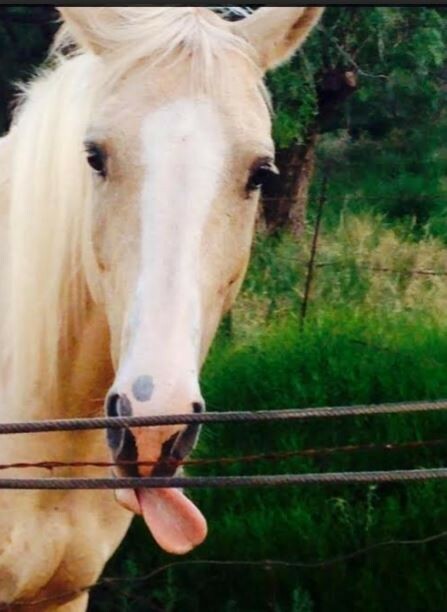 Any horse that she wanted, she could have. They had spent the day going from breeder to breeder, but Lewis felt no connection with any of the horses she saw. These were show horses worth thousands of dollars, but there wasn’t any spark. By chance, they drove past the animal shelter where Lewis spotted Dolly. Lewis knew it had to be her, and her husband purchased her for $50. In an interview with The Dodo, Lewis said Dolly was “total skin and bones, hair matted, hooves overgrown” and was a “heartbreaking sight.” Heartbreak doesn’t even begin to describe Dolly. 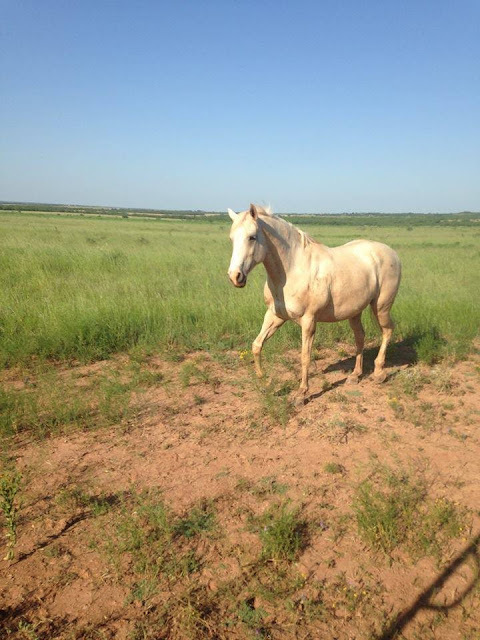 Raised as a breeding horse, Dolly’s sole purpose was to produce as much offspring as possible. She didn’t even have a name until Lewis gave her one. 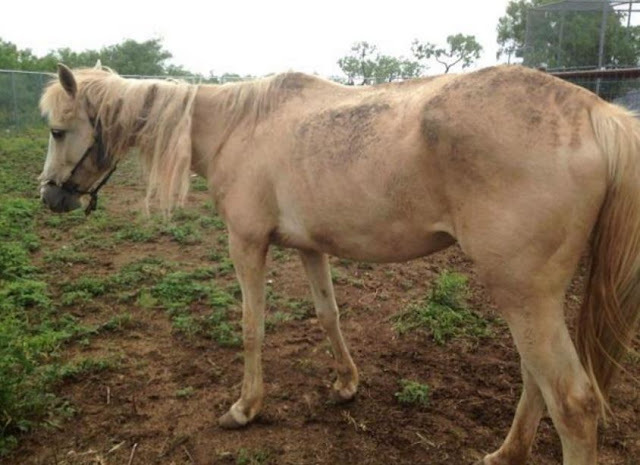 When Dolly lost her first baby, Dolly’s owner lost it, continuously beating and starving her. The nightmare came to an end when another member of the family brought her to a shelter, but the damage was already done. When Lewis picked her up, it was unclear if Dolly would ever be in the clear to be ridden. They didn’t even know if she was going to survive, but Lewis wanted to give her a chance. Lewis brought Dolly back to her family’s 156-acre farm in Tennyson, Texas. They would just have to give it a go and hope for the best. In time, something miraculous happened. With the Lewis’ love and patience, Dolly gradually got her spirit back. Her weight nearly doubled from 812 pounds to 1400 pounds. She was an entirely new horse. At her new home, her goofy and loving personality flourished. Dolly followed her new mom around, making silly faces at her.